Fernando Alonso has described his WEC debut as “a challenge” and believes he needs to be “ready for anything” as he embarks on the Super Season with Toyota Gazoo Racing. 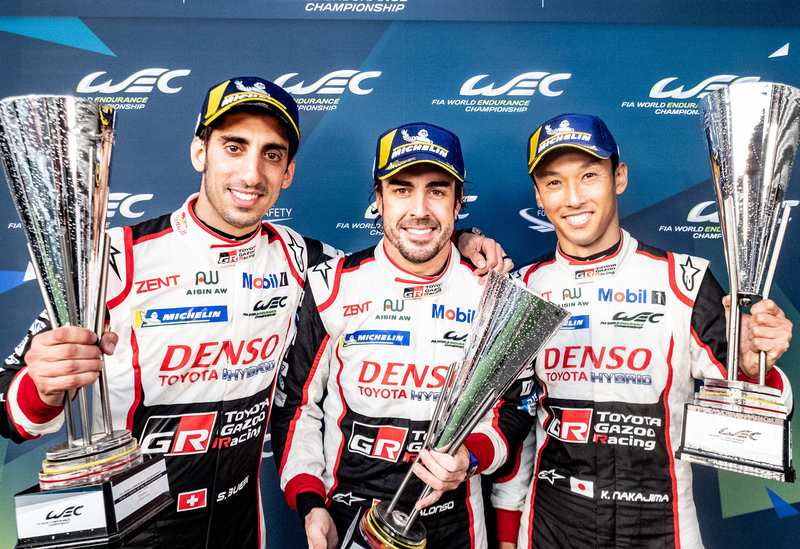 The 32-time Grand Prix winner claimed a famous victory in his first ever WEC race at Spa last Saturday in the No.8 Toyota Gazoo Racing car he shares with Sebastien Buemi and Kazuki Nakajima. “I think it was a nice debut, definitely,” said Alonso. “We finished second in qualifying, but we started in first position so it was nice to hear the national anthem there before the race in front of everyone. Alonso, along with teammates Sébastien Buemi and Kazuki Nakajima, took a maximum 26-point score at Spa to make a perfect start to their WEC Super Season campaign.